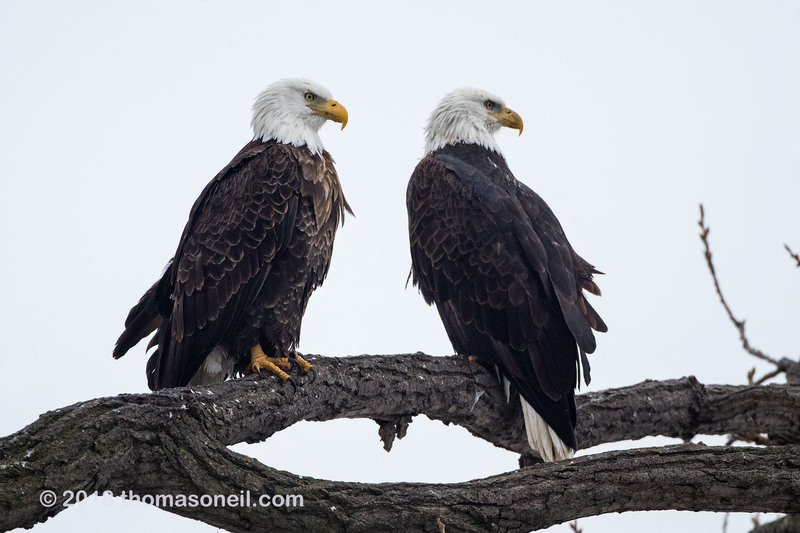 thomasoneil.com Mississippi River eagles 2018: Bald eagles, Keokuk, Iowa, January 2018. This image was taken with Canon M100 on 500mm lens. The following image was taken with Canon 5D Mark III on same 500mm lens. [#9200-3471] Click on image for next photo.